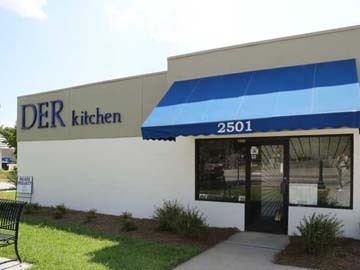 The DER Kitchen commissary kitchen, located in the 2500 block of Main Street, is the state's first shared commercial kitchen. 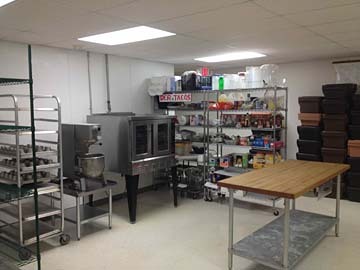 It provides bakers and caterers a pay-by-the-hour base of operations without the need to build and equip a commercial kitchen of their own. 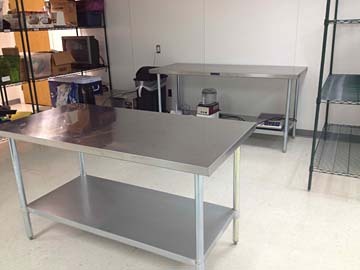 The kitchen also serves as a base of operations for mobile food operators in the Midlands area. 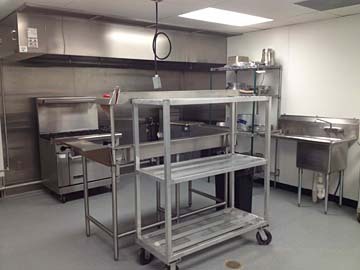 DER Kitchen does not rent food carts or food trucks! 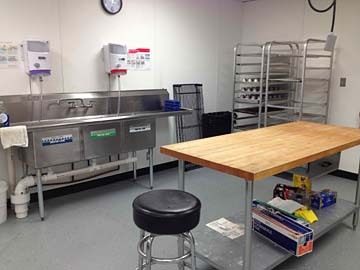 In South Carolina, all food cart, food truck operators and caterers are required by the Department of Health and Environmental Control to have a commercial kitchen for a basis of operations. If you are just starting your food business, please go to the Sign Up link. There you will find a Business Start primer with links to sources of information required to get started in South Carolina and in Columbia. After that, you will need to complete the DER Kitchen application and send that to DER via email. David Roberts (DER), private consultant and entrepeneur, is accepting applications for renting the kitchen. Please contact him at (803) 779-3003 or der@derkitchen.com for more information. Tours of the kitchen are available by appointment only. 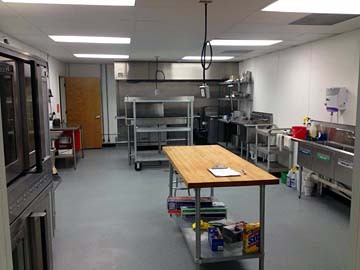 © Copyright 2012-2019 DER Kitchen LLC. All Rights Reserved.